Finding an EV charging station in Staffordshire can be a time consuming and tedious task. Points are either in use, temporarily faulty or they’re simply lacking in quantity. As a result, many electric vehicle owners find themselves in need of their own domestic EV Charging Stations in Staffordshire. This makes sense really, for by charging your vehicle overnight at home, you’re always guaranteed a vehicle which is prepared for the day ahead! The good news is that here at Orbis Engineering Services Ltd, we specialise in installing high quality domestic EV charging stations in Staffordshire and surrounding areas. What’s more, we are accredited by the OLEV Grant (the Office of Low Emission Vehicles) and we specialise in installing domestic, household charging stations. Orbis are a leading supplier of high quality, low cost WallPod EV charging stations which deliver an exceptional service consistently. To date, Rolec have manufactured and supplied over 40,000 charging points across Europe so you can rest assured that you will be receiving a high-quality product which is tried, tested and which is hugely popular with EV drivers across Europe. 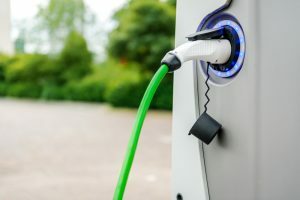 In recent years, Rolec has even supplied EV charging stations to big names such as Jaguar Land Rover and most recently Kia Motor. At Orbis Engineering, we are proud to be the leading supplier of Rolec home EV charging stations in Staffordshire and can offer a range of models from 13amp, 16amp and 32amp. Available as tethered and untethered units, our Rolec EV charging stations are reliable, easy to use and guarantee to deliver a fast charge when you need it most. Untethered units are especially popular with homeowners who plan to have more than one vehicle with different connections using the station. Why Choose Orbis for your Domestic EV Charging Stations in Staffordshire? As one of the Midlands leading electrical engineers, Orbis Engineering guarantee you a safe, professional, and reliable installation when it comes to home EV charging stations in Staffordshire. We have over 15 years’ experience in the electrical contracting industry and we pride ourselves on completing projects on time and on budget. What’s more, we are also OLEV accredited and can access the Electrical Vehicle Home-charge funding schemes. This means that we can claim back up to 75% of the installation cost for eligible customers! Demand for domestic EV charging stations in Staffordshire is increasing. For a reliable, cost effective and professionally installed charging station in your home, please do not hesitate to get in touch, we are an NICEIC Approved Electrical Installer and are a CHAS accredited company, which means that you’re guaranteed a high standard of service. Alternatively, you can also fill in our online enquiry form online here.